Along with yet another round of dismal approval numbers for President Trump, a new Fox News poll shows over half of all voters surveyed — 56 percent — believe Mr. Trump is tearing the country apart. In the poll, taken during a week where Mr. Trump stepped out during his first national weather-related disaster, only 33 percent said they thought the president was "drawing the country together." While Mr. Trump spent the majority of his weekend focused on the response to Hurricane Harvey from Camp David and then traveled to Texas on Tuesday to tour emergency operation centers in Corpus Christi and Austin, 44 percent of voters polled said they approved of Mr. Trump's response to the storm, while 26 percent disapproved. The poll was conducted Sunday through Tuesday evening. Meanwhile, as North Korea continues to threaten the Asia-Pacific region and United States with nuclear provocations — and amid the appearance of a divide between Mr. Trump and his Defense Secretary James Mattis over diplomatic measures — 42 percent of voters polled this week found the president was not tough enough on combatting the North Korean regime, compared to 19 percent of voters who say he's been too tough on the DPRK. 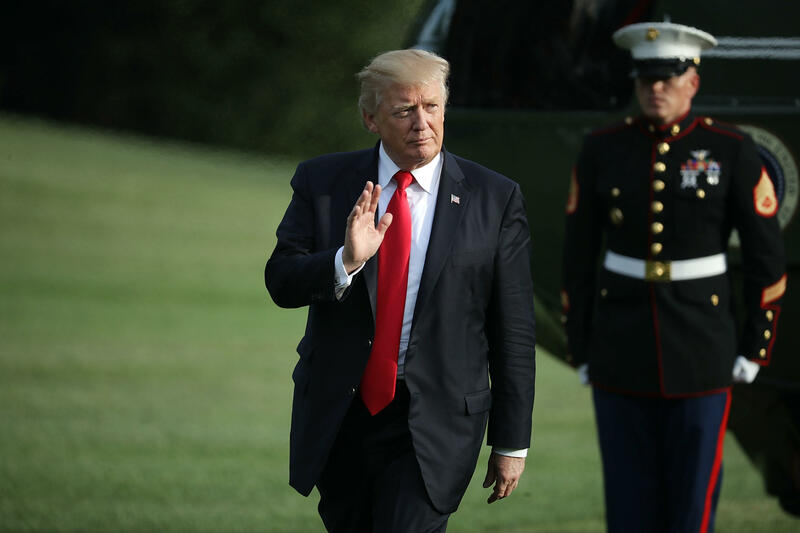 Fifty precent of respondents said overall that they disapproved of the job Mr. Trump was doing in countering North Korea's continued threats, while 43 percent approved. Fifty-nine precent also said they felt concerned about the possibility of escalating to war with North Korea. Only 41 percent of voters in the Fox News poll said they approve of the job Mr. Trump is doing as president, while 55 percent disapprove overall. That's a slightly higher approval rating than a Quinnipiac poll out last week, which found just 35 percent approved of how the president is doing. Fox News also found that both supporters of Mr. Trump and his challenger Hillary Clinton were over 90 percent satisfied with whom they voted for in the 2016 election. The Fox News poll was conducted by telephone with live interviewers August 27-29, 2017 among a random national sample of 1,006 registered voters. Results based on the full sample have a margin of sampling error of plus or minus three percentage points.